Roberto Mendoza arrived at Cherokee Home for Children in the fall of 1971. He spent about two years as a resident of the Home and was adopted in 1973 by Mr. and Mrs. Flay Franklin Baugh of Temple, Texas. Robert graduated from Temple High School in 1987 and then graduated from Oklahoma Christian University with a Bachelor of Science in Education in 1992. He taught school for five years. Robert then entered ministry as the Youth and Family Minister at Avenue T Church of Christ in Temple, Texas. After 5 years there, he became the Youth and Family Minister at Southgate Church of Christ in San Angelo, Texas, where he served for seven years. 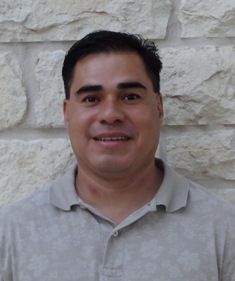 Robert became the Spiritual Life Minister at Cherokee Home for Children in 2005. Robert is primarily responsible for the spiritual direction of the Home. He is also one of our Case Managers in our foster care program. Robert has been married to Vickie Baugh, also from Temple, for 20 years. They have two children, Brissa Isabella Baugh and Gunner Barrett Baugh. Robert and his family love the outdoors, hunting, fishing, and camping.